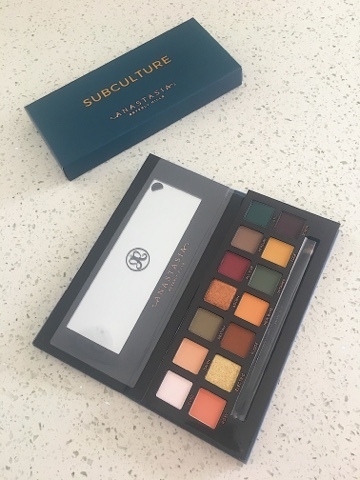 I first saw this beauty on the ABH instagram page and knew I had to have it when it was released. 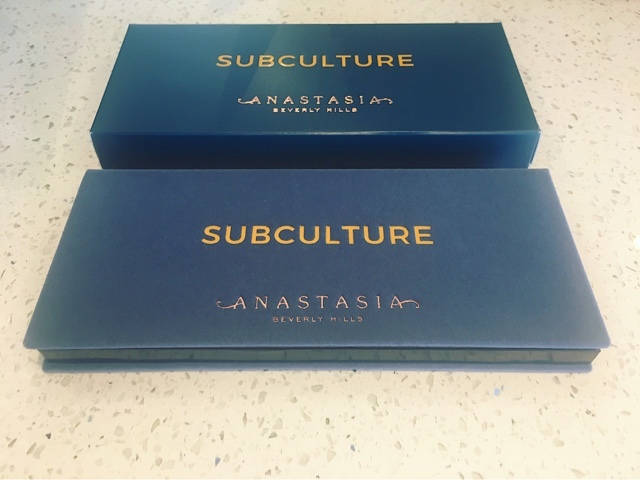 If I'm honest it was the packaging that got me first, the same velvet style of their previous Modern Renaissance palette just in a gorgeous deep blue with mustard yellow lettering. It features 14 shades; 11 mattes, 1 metallic and 2 duo chromes, along with the usual double ended ABH eyeshadow brush. 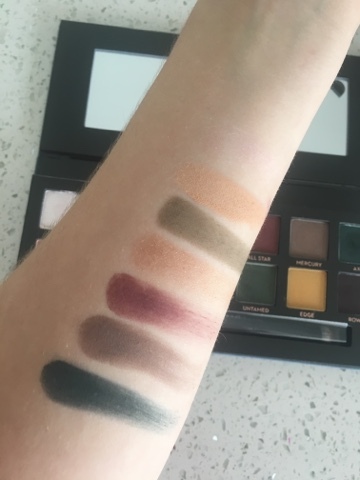 The colours are pretty unique, I have seen this palette described as 'grungy' which I totally agree, I just love the mixture of dark burgundy, teal and green shades, I imagine these will be very 'in' this coming fall/winter. So, there has been very mixed reviews on this palette, probably with more bad than good. I didn't want anything I had already seen to influence my own opinion so when I first swatched I made sure to keep an open mind. What I have kept hearing is about the terrible 'kick back' of the shades and it being very powdery, especially with the shade 'New Wave'. 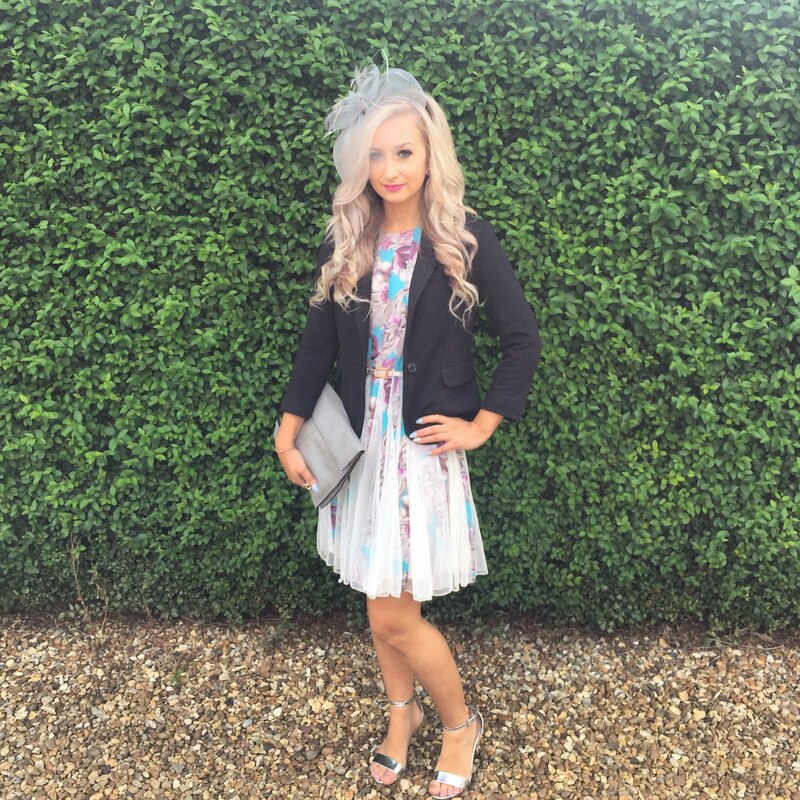 Below I have pictured using a Unicorn Brushes flat eye shadow brush on this colour, dabbing it in like I usually would. Well, I actually didn't find it that bad at all, & I feel like if I hadn't already read reviews I wouldn't be looking for this problem and therefore wouldn't even notice anything. 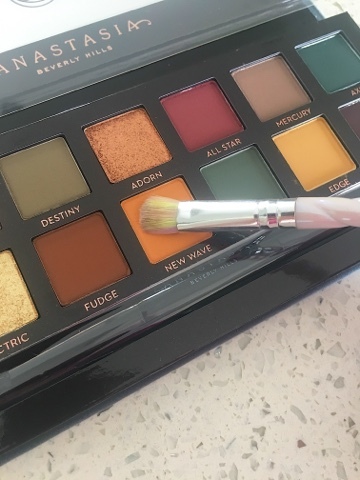 It left the pan looking ever so slightly powdery but nothing I haven't seen before, and it coated the brush pretty well, I thought it looked super pigmented myself! I do however have a bad point to say about this palette, and that is about the shades 'Electric' and 'cube'. Basically, as you can see (or not see) below, my swatch is more or less non existant of these colours. 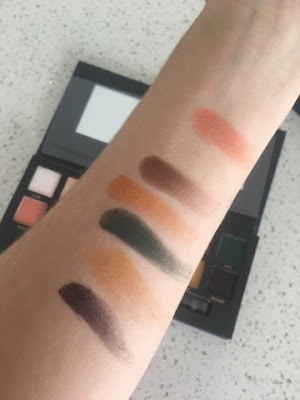 Would you have even noticed there was a seventh swatch on the photo on the right?! Yes, Cube did show up in person more than the photo, but it was nothing more than a little sparkle and that was after 2 or 3 swatches. Electric was a little better, but still took a few goes to show, this was the maximum pigment I could get out of them both, which is such a shame as every other shade only took a light dab to produce the swatches below. Overall, I like this palette. I'm completely in love with the packaging and equally love the autumnal shades it features, I can't wait to do a dark smoky look with it. There is a problem with a couple of the shades in the palette pigment wise which is a shame, I think I will be avoiding them ones but the mattes are the stars of the show in this. 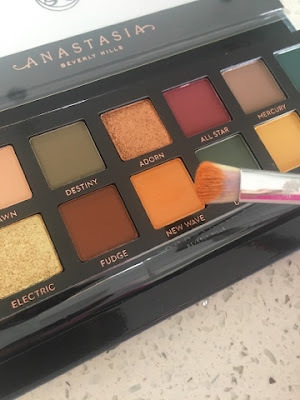 I don't think it deserves the bad reviews it is getting, but maybe some palettes are worse than others. It still hasn't over taken my favourite Anastasia palette which is the World Traveller, but I would definitely recommend it to anyone wanting new eye shadows for the fall.